Made from a stretch jersey fabric in a flattering longline style, this top serves as a must-have daytime option. 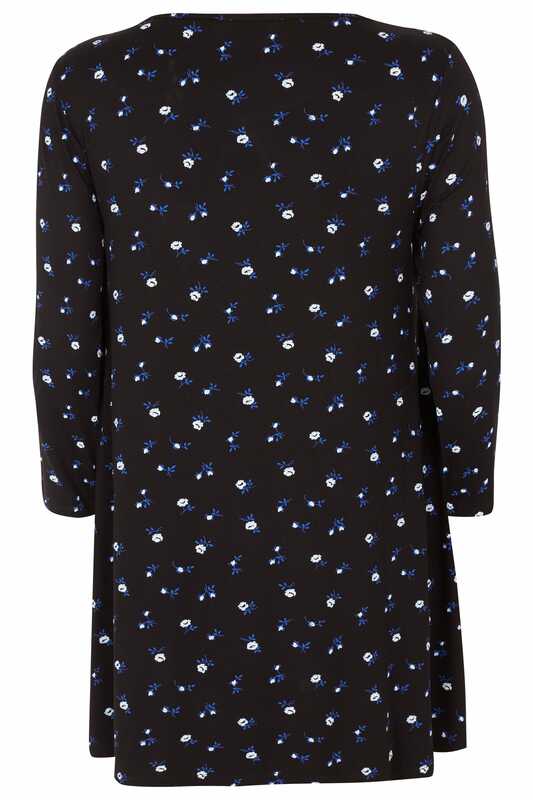 Versatile and easy-to-wear, it features 3/4 length sleeves and a scooped neckline with three keyhole cut outs. 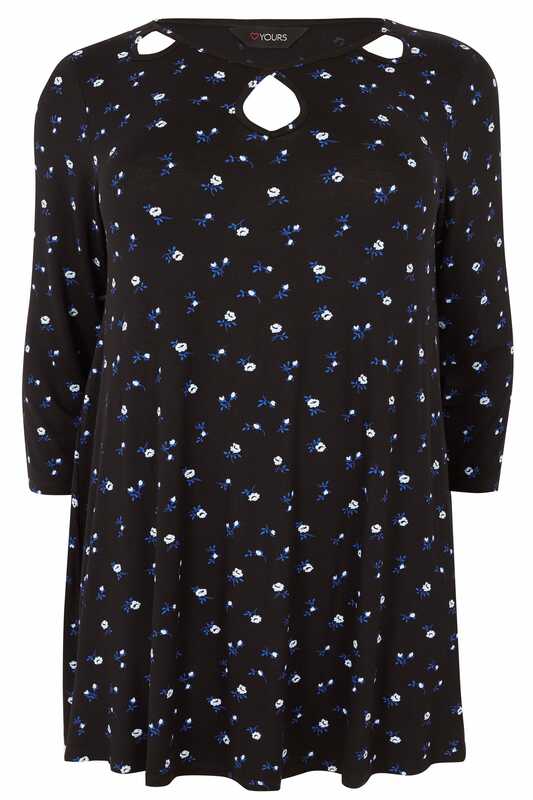 We are loving the elegant floral print in blue.